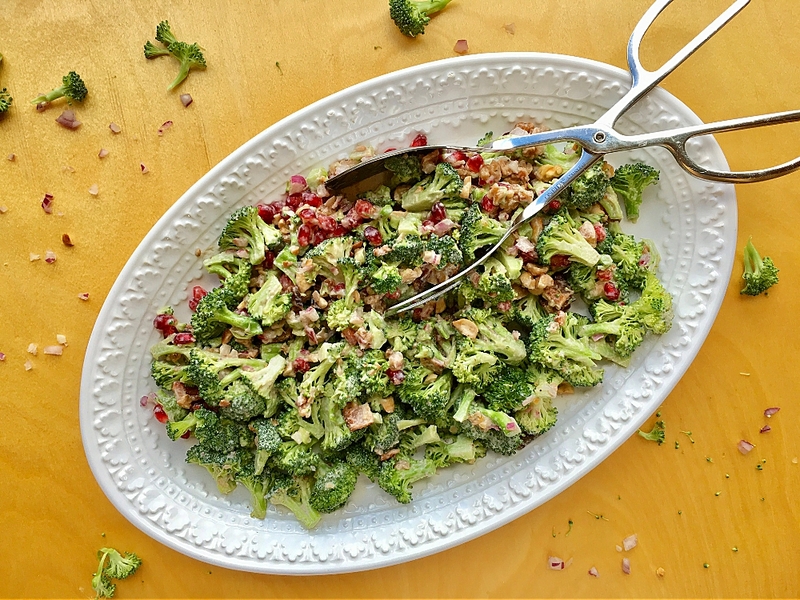 Broccoli Pomegranate Salad fits perfectly into a holiday meal because it’s simple but festive, comes together quickly, can be prepped a day or 2 ahead then mixed together right before serving. With so many dishes needing attention at the last-minute, this salad is a bright spot on the holiday menu in more ways than one. It’s not fussy or high maintenance, and still delivers a holiday vibe with great flavor. It was a favorite in my cooking classes and since it fits perfect into a holiday meal, I’m sharing it with you. 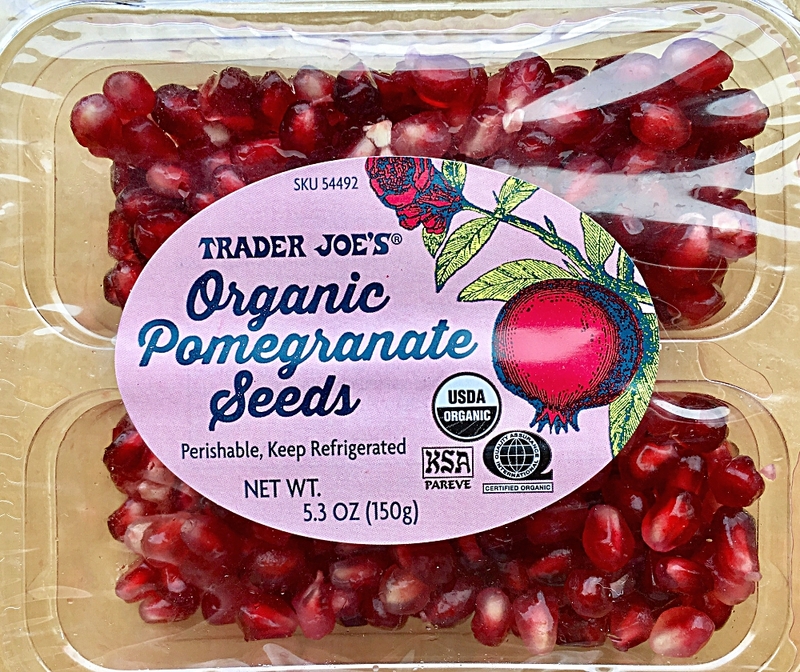 I was delighted to find organic pomegranate seeds at a reasonable price ant Trader Joe’s…watch for the date on the back of the package before buying. 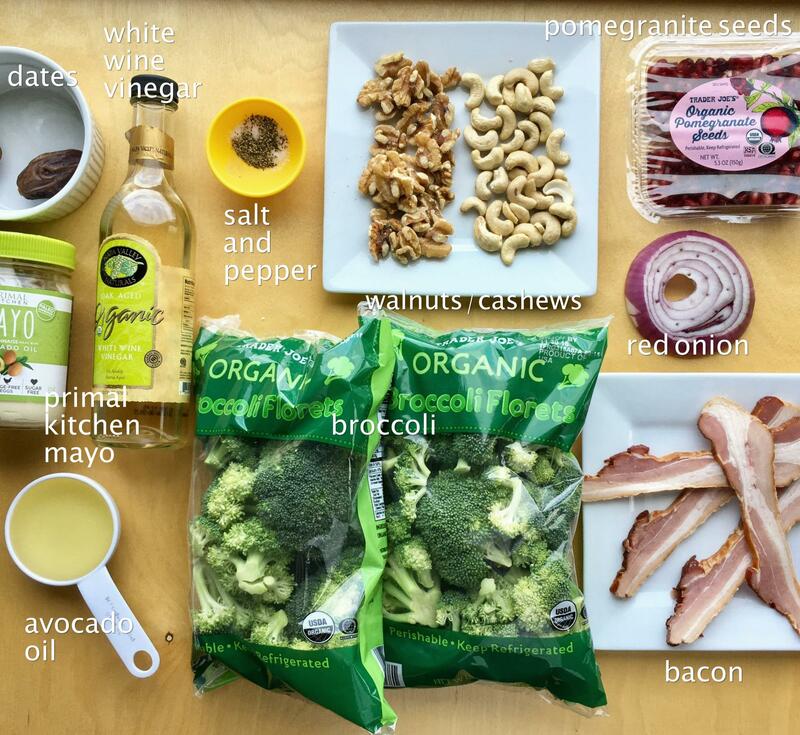 Have you tried Primal Kitchen Foods avocado oil mayo? It has the shortest clean list of quality ingredients ever on a mayo jar. It’s delicious and creamy. It’s also shelf stable until opened, so you won’t find it in the refrigerated section of your natural grocer. Oh, and the 2 garlic cloves needed for the dressing are hiding in this ingredient photo. 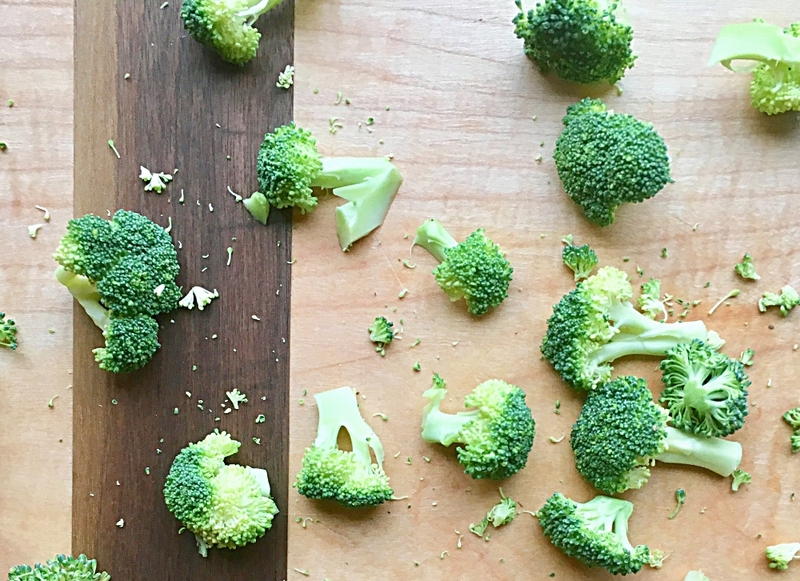 To prep the broccoli, clean and let drain. Chop in small florets. Trim stems. Cook bacon (if using) ahead, chop red onion, toast and chop nuts and store everything in the fridge in separate containers. Blend up dressing a few days early too. If you’re hosting, this is super easy. Even more so if you’re potlucking, charged with bringing the salad. So easy and so good! Thank you Diane…So very happy it was enjoyed!